As long as we're exploring different regions of India, here's a compilation that's been lying around for a while featuring songs from Gujarati cinema, aka Gollywood or Dhollywood, the latter sobriquet apparently chosen for a profuse use of the Dhol drum. And this is a very percussive, mostly traditional set of songs. Not my preferred cup of tea usually, but I actually find myself enjoying some of these quite a bit. A few well known names crop up in addition to several I'm not at all familiar with. Asha Bhosle's 'Dham Dhamak Dham Sanjelu' is hugely compelling, and Geeta Roy (Dutt) sounds typically lovely on 'Ratana Ramada'. Dilip Dholkia appears to have worked in Bollywood under the name Dilip Roy; his 'Taari Aankhno Baheeni' is a charming old-school jazz tune. 'Mhare Te Gamde' features Ameerbai Karnataki and sounds sweetly folky. 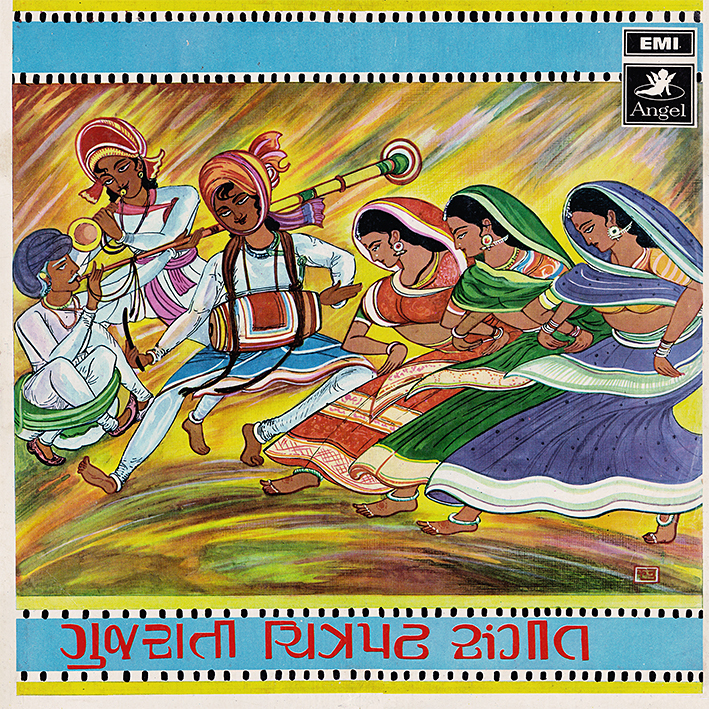 Note: Track info is mostly taken from the record's Discogs entry as everything on the cover and labels is in Gujarati. Hi PC - thanks as always! These past couple of posts have been a real eye opener for me. I know that most Indian singers sing in the multitude of Indian languages, but getting some access to these songs is great! I especially liked listening to this vintage Gujarati record. I'm glad. Yeah, I'd love to hear more non-Hindi Indian film music too but it's not as readily available as the Bolywood stuff.